Velorooms is happy to announce a Q&A session with Paul Voß, "Ex-Pro but not yet retired". You can ask your questions over the next week and we will send them to Paul at the weekend. Paul Voß is a cyclist from Rostock/Germany, who was riding for the German based Bora - Argon 18 team for the past couple of years. He is a seven-time Grand Tour participant and 2016 was his most successful season as a pro so far. Dreadful weather conditions couldn't stop him to win the Rad am Ring race around the famous Nordschleife, and his constant breakaway attempts were rewarded with the Polka Dot Jersey in the first stage of the Tour de France. Like every kid, Paul had the dream to do the Tour de France one day when he started to ride the bike in 1998 at the age of 13. And that dream finally came true in 2014, when he was part of Team NetApp - Endura's first participation in the Grand Boucle. He has been part of their Tour team ever since, so that the 2016 edition saw Paul on the startlist for the 3rd time in a row. Some may have expected his debut to come even earlier when he went straight to the World Tour with Milram in 2009 - but the folding of the team only one year later saw him having to step back to continental level with the Endura Racing Team. Joining that little British team turned out to be a good move for him though, and his race calendar improved steadily, especially after the merger with NetApp in 2013. Over the years, he turned into a very valuable member of the team, and apart from Scott Thwaites and Zak Dempster he was the only former Endura rider left in the 2016 Bora outfit. 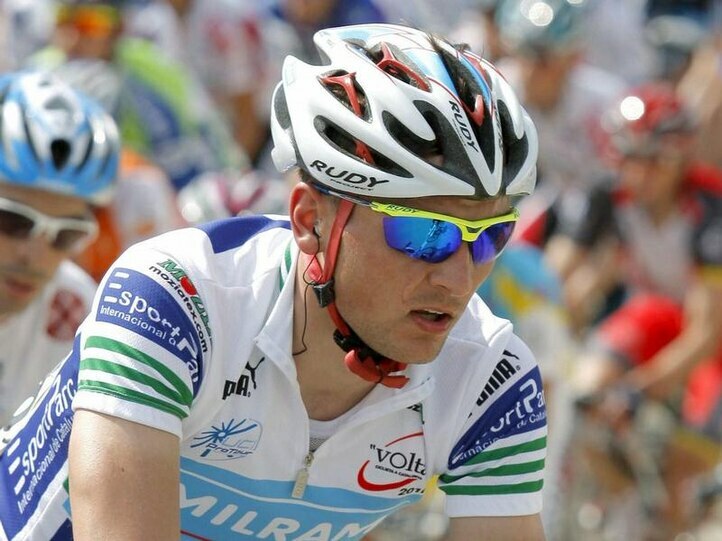 Paul Voß has participated in all three Grand Tours, and also took part in most other important races of the cycling calendar, like the Ardennes Classics, the Giro di Lombardia, Milano-Sanremo, the Ronde van Vlaanderen and various stage races. Before winning the Rad am Ring in 2016, his biggest win as a pro came in the 2010 Volta Ciclista a Catalunya, when he won the Prologue, and he was also part of the Bora-Argon 18 team coming first in the opening team time trial of the 2015 Giro del Trentino. Despite having his best season as a pro so far in 2016, Paul Voß ended up without a team for this season - but for him that's no reason to hang his head. "New year. New challenges", he said. "2016 was a year to remember in many ways. I could achieve some of my childhood dreams, just missing out on the Olympic Games will always hurt a bit. 2017 will be different for me. I will pursuit my dream to make the PAUL VOSS DEVELOPMENT TEAM into something great for our future stars. Life has a to offer a lot and I'm looking forward to the new opportunities and challenges which are ahead of me. By the way. I'm not done yet. No retirement!" His own youth team, the Paul Voss Development Team, was founded at the beginning of 2016, and consists of six young riders from the Berlin/Brandenburg area. "Youth cycling and development has always been close to my heart. German cycling is growing every year, but doesn’t have the same infrastructure as some countries like France, Italy and Spain", is what he said about the reasons to found a team himself. "On a day to day basis, I try to check in with all the riders, parents and the coach. I like to keep up with their results, and I like to advise them and help them prepare mentally. But I’m also helping with accounting and logistics, like which hotels etc. are best at which races. I try to be in contact with each of the riders 2 to 3 times a week to keep up with what is going on with them. It’s really important to me that they continue to do well in school. It’s nice: I really enjoy it. I try to be involved as much as I can. It was always my dream to have a development team and be involved with young riders, it’s fantastic to be able to kick start it when I’m still an active pro. I do see a long future with this, and hopefully the team lasts for many years." For more information on the youth team, you can visit the Facebook site of the team, or also have a look at Paul's personal website tourdevoss.com, his Twitter or Instagram, to read more about his life as a cyclist. I´ve always wondered about whats it like in the Peloton during the early transition type stages, the 1st 100 - 150 km where nothing important is at play and the group just moves from point A-B, What were those days like for you, any funny stories or is cycling too pro now? I don't know if you are the kind of guy that keeps framed jerseys from your past on a wall in your house, but if you are/were and you could only keep one, which is the one that means most to you and why? On a similar-ish topic, have you ever been given your new kit at the start of the year and thought "Oh god, am I really going to have to wear this for the next 365 days" because it was so dull/awful? You don't have to name names, but we won't tell anyone if you do want to tell us. Honest. I've always wondered why riders chose a relatively limited set of races to compete in. You, for instance, have never competed in the most beautiful race in the world (Paris Roubaix) and never completed the most beautiful stage race in the world (Giro d'Italia). Do you have any plans to ride these two beauties, or is that not a priority for you? How afraid is the current road peloton of the day Wout van Aert and Mathieu van der Poel make the switch from cross to the road? As someone with some experience in cross, have you told Sagan yet his winning days will be over as soon as that day comes? "Cyclocross races can deliver more action than most of the Grand Tour stages. We need to find a way to bring the races to the German TV." Have you raced any cyclocross since your Bronze medal at the 2010 German Championship? Could you have persevered in it or was your choice for the road an obvious one? Do you keep fond memories of your cyclocross years? Would you say that cyclocross is the best or one of the best "schools" for road cycling, more specifically with respect to bike handling or do you think track racing is a better one since the speed is faster (as some also argue)? Thank you for your answers and Best Wishes for 2017! added to that: during the Tour (Bora teamchef) Ralph Denk was quoted in German media, saying that a new contract would pretty much be a formality, and that he "would be very happy to see it happen". What happened there, that it didn't work out in the end? And how did wearing the mountain jersey in the Tour de France rise the interest from other teams, and how quickly are things like that forgotten again when it comes to contract negotiations? Looking back at it now, do you regret not fixing a contract right then (in case there were any offers)? And furthermore, we have seen more and more cyclists signing for teams from (very) non-traditional cycling countries, like Stefan Schumacher and Björn Thurau, who recently found a job at Kuwait-Cartucho.es. What do you think about it, and would you see an opportunity like that as an option for yourself, as a last resort? I guess it is hard to ignore the Pink Elephant, Doping . As a rider of the new generation, how do fans of the old generation get to a point where they can believe that there has been change of real value re PEDs. The you can trust line doesn´t hold much weight, climbing times are still getting faster, ITT times etc. 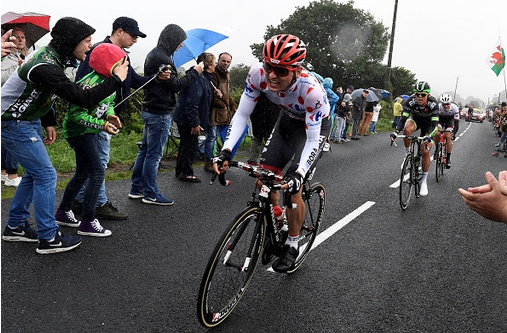 What do you believe the Peloton could do to regain trust of the fans? 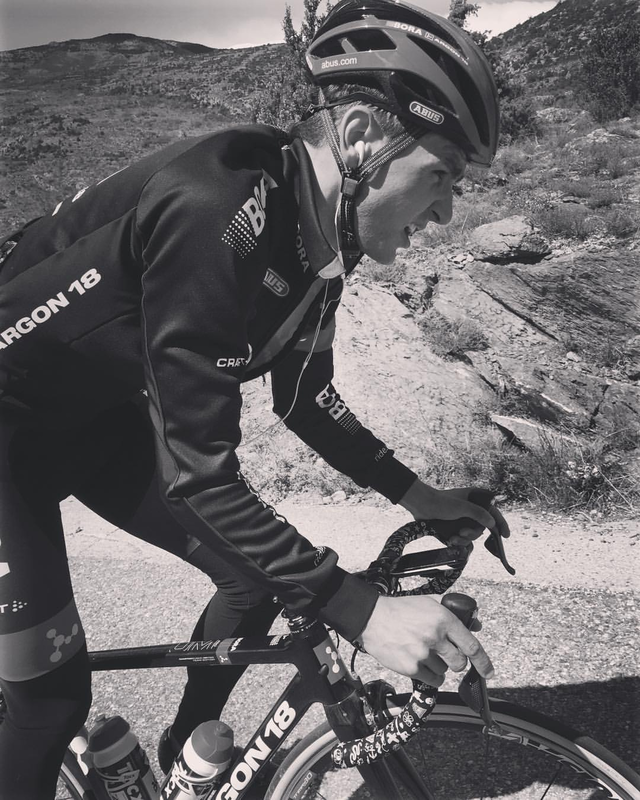 I have always though Bike power info and ABP testing results being public would do a lot, but many pro cyclists don´t even have ride info posted on Strava, why do you think riders arn´t more open with information? As an extension of this question in some ways what has it been like to have been let down by team mates who have doped? I mean like Roy Sentjens being kicked of the Vuelta while you were at Milram and even though it was revealed when you were riding for different teams how did it feel to learn that Jon Tiernan-Lockes success while you were both riding for Endura wasn't legit? Thanks for your time, Paul. What's the plan for the future? Paul Voss has sent me his replies, you can find them below in italic. Why didn't you get a new contract from bora after such a great season 2016? In May Ralph told me, that he would like to give me a new 2-year contract. So obviously thought I would be safe after the first days at the Tour. Unfortunately we never came to the point where we actually started talking about a contract. Until now I don’t know why. I never had an offer of a team, so there was nothing to choose from. To go to a Conti team was just an option with a team I would have trust in. Unfortunately that also never happened. Already once I made the step down to a Conti team, but now I didn’t had the feeling it would have been the right thing. I did all the big races and than suddenly doing smaller races again would have been tough. Also I had my limit salary wise. I didn’t want to sell myself as a bargain. After your stint with Milram, you signed with Endura. How do you look back on that (with respect) step back? A chance won or lost? Endura was a step back and two forward. I learned a lot and it was the team with the best atmosphere. I don’t keep jerseys on the wall, but I do have a full set of each team I have been with. My favorite one is clearly the KOM from the Tour. The „worst“ was for sure the cow design Milram jersey. Actually I’ve competed in every terrain. I did the Paris-Roubaix cobbles at the Tour. Roubaix is the only race I never did, the other big ones I did multiple times. When I did the Giro, I had a tough program beforehand and then the fight for the KOM jersey made me too weak to finish the Giro. Obviously I would have loved to finish the Giro but I never got the chance again. I haven’t ridden a Cross race since my crash at the World Cup in Zolder 2010. I love Cross and have a lot of good memories. I’m happy I’m actually able to do it again now. Cross is a good school for the road, the same for the track. Both is giving you bike handling, speed and strength. I don’t think anyone is afraid but for sure they have a lot of respect for them. I've always wondered about whats it like in the Peloton during the early transition type stages, the 1st 100 - 150 km where nothing important is at play and the group just moves from point A-B, What were those days like for you, any funny stories or is cycling too pro now? Really depending on the day and your personal mood, but usually it is a lot of bullsh*t talking going on. Which are the reasons, why Germans has world class riders in TT and sprints, but a lack for GC and climbs? A lot of people asking that question, but I have seriously no idea. I have always though Bike power info and ABP testing results being public would do a lot, but many pro cyclists don´t even have ride info posted on Strava, why do you think riders aren't more open with information? If we keep going the same way than we can get even more trust back. When you show you watts, people could find out what and how you train. Everyone tries to get one percent more and to get that, you have to invest a lot, and obviously you don’t want someone else to just copy your training. I will keep building my Paul Voss Development Team and also trying to set up a cross team which I want to race for. Velorooms wants to say thanks again to Paul Voss, and all the best for the future. Please check out the the Facebook site of his team, have a look at Paul's personal website tourdevoss.com, his Twitter or Instagram, in case this Q&A has drawn your interest. Sounds like Voß was one of the riders that had to make room for Sagan & entourage. And that after being as much as promised a new contract ... doesn't make Denk look good. Paul hopes that the WIGGINS boys can aim for the podium [at the Rás], but he reiterates the importance of taking the opportunities when they present themselves, rather than any final result.